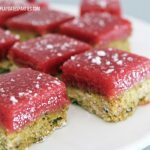 Cranberry curd bars with a pistachio crust are the perfect holiday alternative for anyone who loves the sweet-tart combination of lemon bars. That’s what my old boss (the caterer) said about these cranberry curd bars with a pistachio crust. You know I love my lemon bars. I even created an easy cookie recipe geared toward capturing the intense sweet-tart combination of the perfect lemon bar. But about a month ago, I was reviewing some of the old candy recipes from last year, and remembered falling in love with the candied cranberries. That’s how the search for a cranberry version of lemon bars started. Thankfully, I didn’t have to look far. 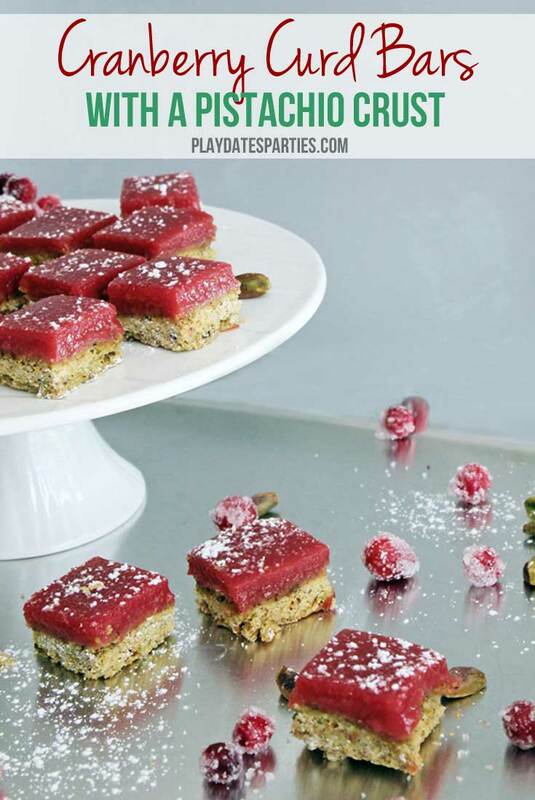 The Kitchn posted a recipe for cranberry curd bars back in 2010, which looked like it was on the right track. But it just looked so time-consuming. So I tinkered with the recipe, and found a winner. This recipe makes a smaller batch of bars, just in case you’re not sure you or your guests really want these bars (by the way, you do). Recipes made easier and still incredibly delicious? Yes, please! 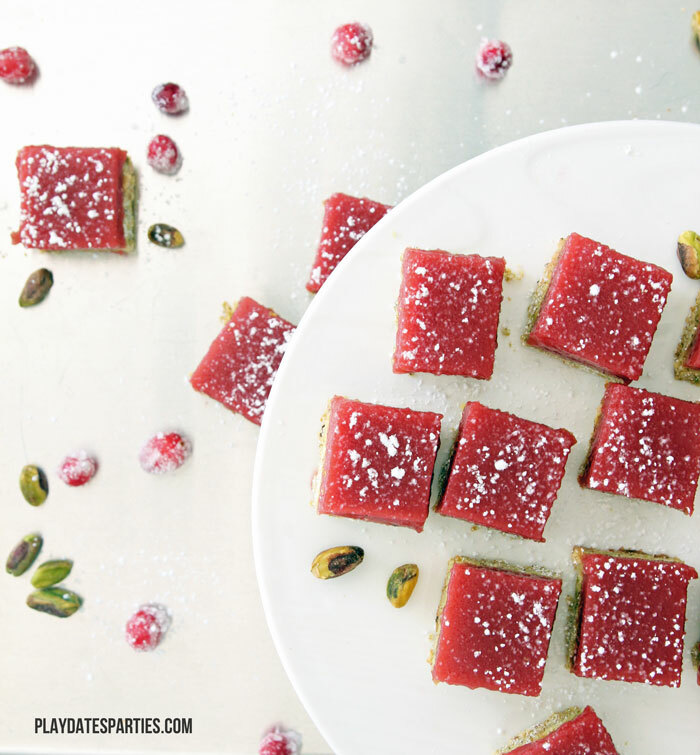 These cranberry curd bars with a pistachio crust are are delightfully tart and sweet. But they’re not cloyingly sweet. The crust is flaky, but it doesn’t fall apart. I had to give away half the pan just to avoid eating them all myself. And now you know how my old boss got a taste. Prepare a 9x9 pan with criss-crossing sheets of parchment paper. Tip: Use a spritz of cooking spray between layers to keep the parchment in place. Prepare the crust: Grind the pistachios in a food processor until course. Add flour, sugar, salt, and cinnamon until finely ground like flour. Add cubed butter on top of nut mixture and pulse until mixture holds together when you squeeze it in your hand. Press into the prepared pan. With a layer of parchment paper in between, use the bottom of a flat measuring cup, or a cold package of butter to make the layer as even as possible. After freezing, Preheat oven to 350°F and bake the crust for 20-25 minutes, until only lightly golden around the edges. While the crust is baking and cooling, prepare the cranberry curd. For the Cranberry curd: Combine the water, lemon juice, and cranberries in a 2-quart saucepan. Heat mixture until cranberries pop. Strain through a fine mesh sieve. Rinse saucepan and sieve. Set sieve aside for later. In the rinsed and cooled saucepan combine fruit puree, sugars, eggs, egg yolk, and salt. Stir with a whisk on low heat until well combined. Add butter and increase heat to medium-low. Continue stirring until the sauce thickens and you can see drag lines in the mixture from your whisk, about 10 minutes. Pour the mixture through the cleaned strainer into a clean bowl to ensure all solids are removed. Pour the warm cranberry curd onto the pistachio crust. Bake at 350°F until curd is set, but still jiggles in the center, about 10 - 15 minutes. Cool to room temperature and dust with powdered sugar immediately before serving. Do you love lemon bars? What’s the most surprising recipe you tried lately? Yum! You know this is getting pinned right now. I am a sucker for all things pistachio! These bars are gorgeous! 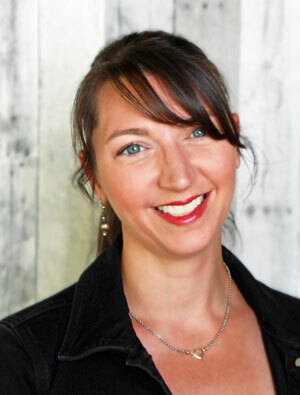 Thanks for linkin’ up with What’s Cookin’ Wednesday! You’re speaking my language here! 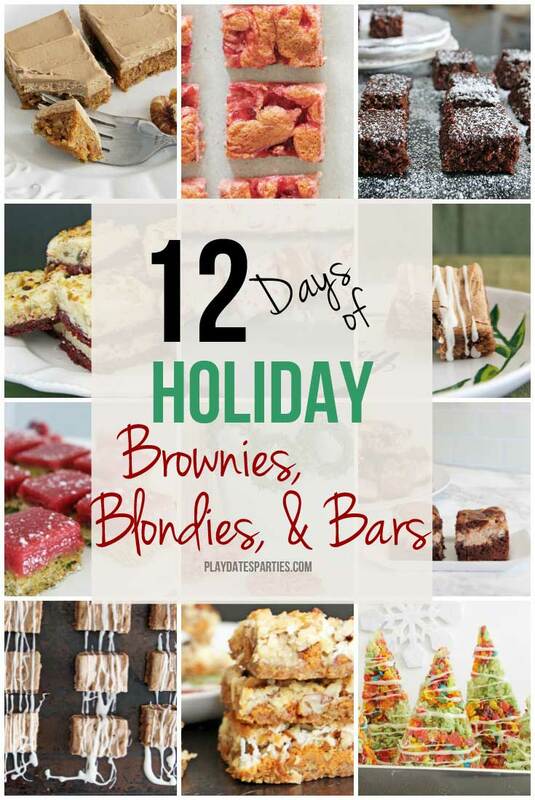 What a fun and unique recipe!